I don’t usually get so excited about a bit of fencing but this one has been on my to-do list since we arrived. No more will helpers (or us) need to climb the electric fence to get to the back garden. Here’s the before pic of the fence line we used to traverse regularly. Like most projects, it ends up being more complex than planned. I had to re-strain and secure all the existing wires to the new posts. 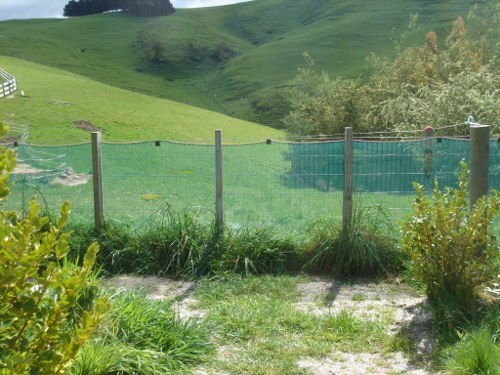 The line of shade cloth keeping the chickens out relied on good fence tension. 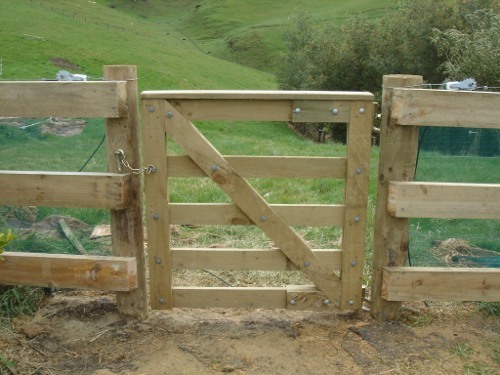 And what a magnificent specimen of a gate it is! Well done that man! Looks like a neat piece of work. 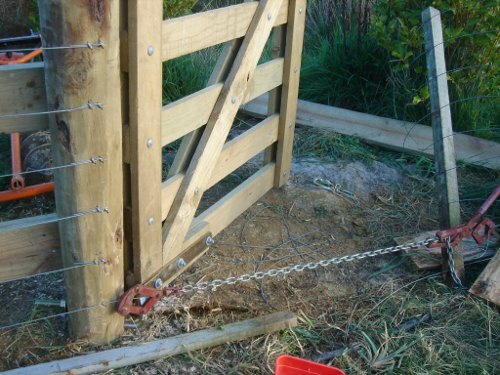 Thanks guys – proof that a city boy can fence? I can relate to the feeling of having the new gates. My hubby made some splendid ones last summer to keep the sheep away from the house garden, he even stained them! Good work, now you have averted a groin strain! » Power cut? What power cut?